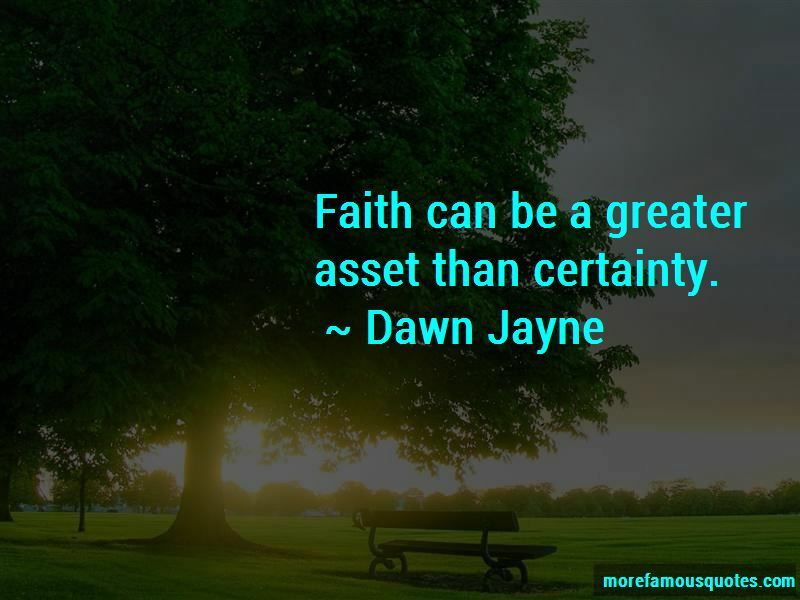 Enjoy the top 11 famous quotes, sayings and quotations by Dawn Jayne. “You told me to tell the truth, and this is exactly why I didn't want to. You want me to think I'm selfish." What are they fighting about?" Saba listened for a moment and closed her eyed in frustration. "They're arguing scripture." "Your brother is arguing scripture? With an angel? “No, this is wonderful!" Mrs. Hernandez' face turned into a wrinkle mosaic when she smiled. "It's not what you give, but the spirit in which you give. That's what's important." 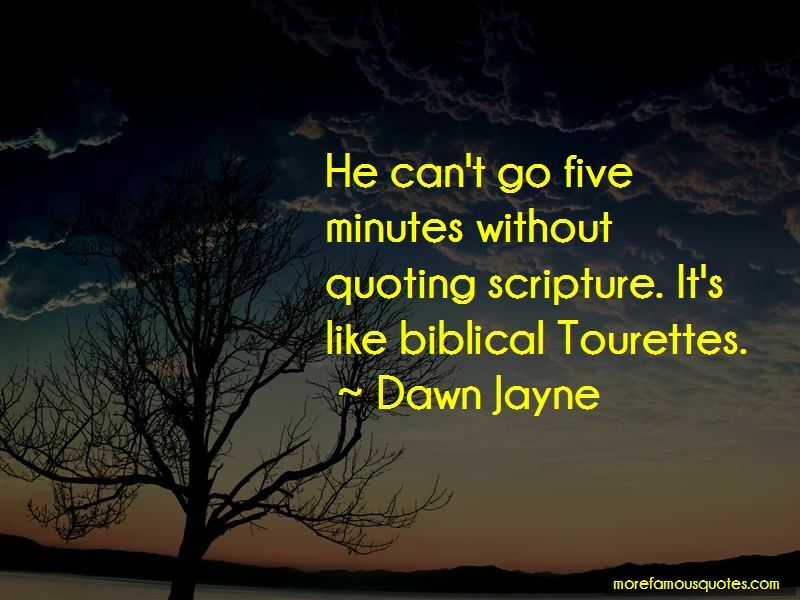 He can't go five minutes without quoting scripture. It's like biblical Tourettes. 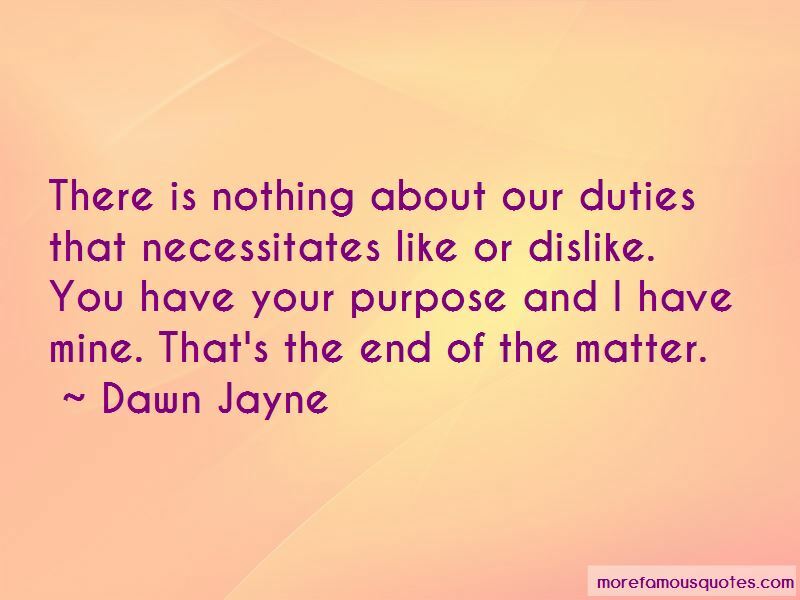 Want to see more pictures of Dawn Jayne quotes? 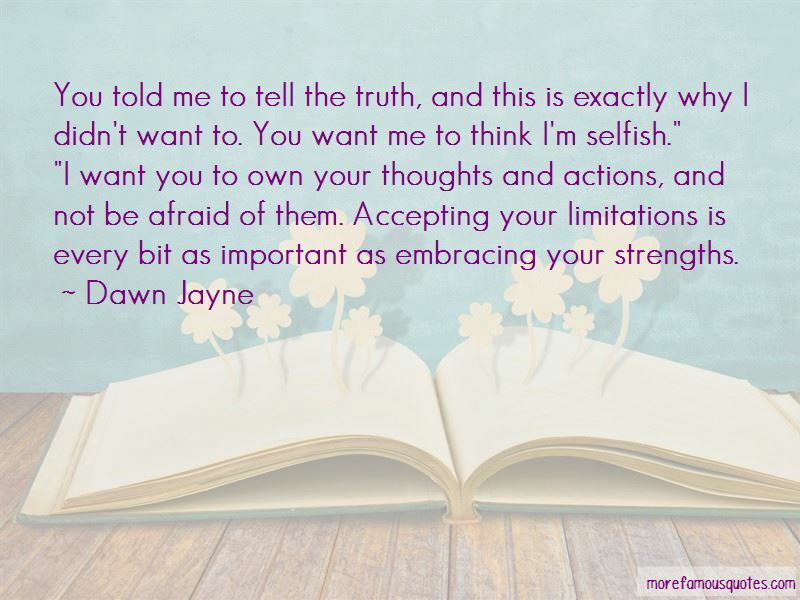 Click on image of Dawn Jayne quotes to view full size.